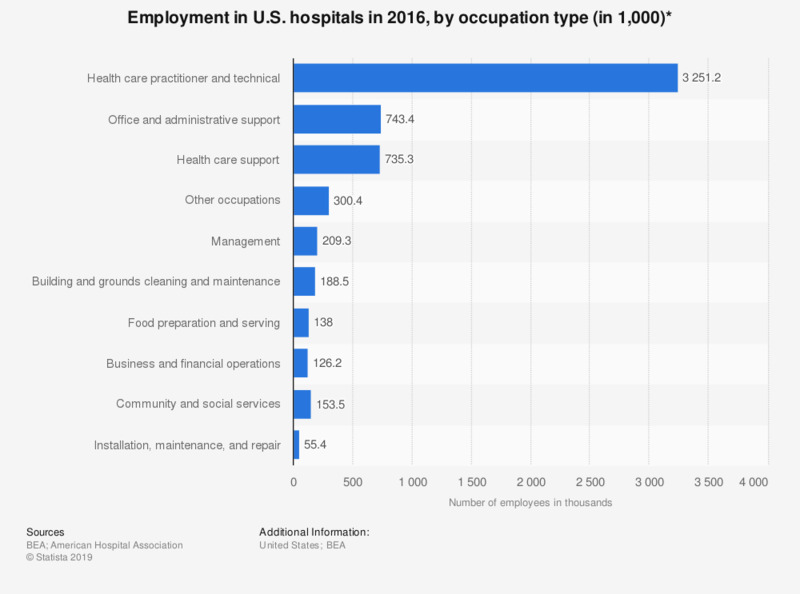 This statistic provides the employment in U.S. hospitals in 2016, distributed by occupation type. As of that year, some 138 thousand persons all over the United States were employed in hospital food preparation and serving. * Does not include public hospitals.